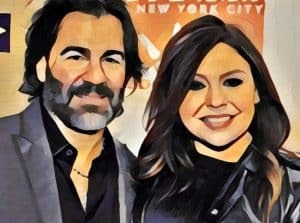 Home › Celebrity › Rachael Ray Net Worth – Wow, Is It $88,000,000? Rachael Ray is a household name in North America. Her unique approach to cooking and food preparation has arguably changed the way that many working people prepare, cook and serve their meals during the weekday grind. She is exuberant and oozes with passion for food and what she likes in life, and her infectious personality has helped bring her talent to the masses. She comes from a family that managed restaurants in upstate New York, including a Howard Johnson’s. Ray eventually sought her own success in New York City, and while not everything went as planned at first, she ultimately conceived a successful cooking class that would provide the basis for many cookbooks, television programs and much more. 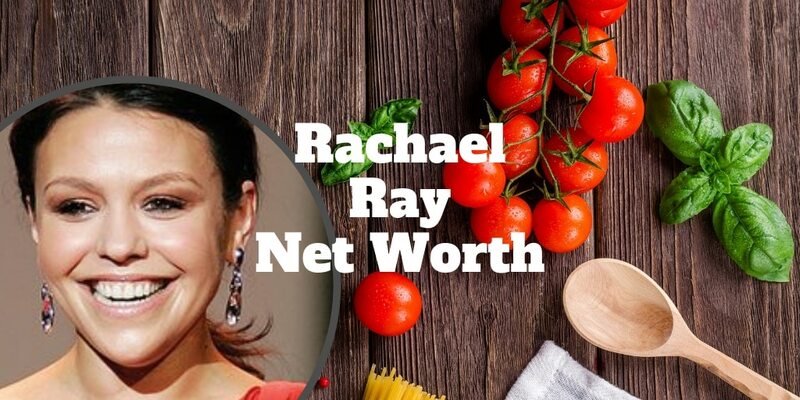 Although she has had many successful books and TV shows, could Rachael Ray’s net worth really be $88,000,000? Rachael Ray grew up in the restaurant business. She was passionate about food but didn’t know exactly what she wanted to do with that professionally. In 1995, she moved to New York City and took a position at the candy counter at Macy’s. After the professional gig, she took a position at Agata & Valentina, which is a specialty foods grocery. With her career not progressing quite as well as she’d hoped, she moved back upstate and became a buyer at Cowan & Lobel, a gourmet market in Albay. She credits that experience at the market with giving her the idea for 30 Minute Meals. When she realized that many people were reluctant to cook, she created an approach to make it easier for them. She then turned that system into a local class, which was a surprise smash hit – it attracted the attention of the local CBS affiliate, which turned her approach to cooking into a show. Much of Rachael Ray’s net worth and success can be attributed to her successful television shows. It all begins with 30 Minute Meals, which reflected who she was as a chef and a foodie. The local CBS affiliate in Albany liked her class so much that they turned it into a TV show. Ray needed more content than her local class required, and she achieved this by having each episode focus on a new recipe. The class lessons were integrated into those recipes as appropriate, and her natural connection with the audience caught the attention of the TODAY Show. She was invited on for a segment, and that appearance landed her a contract with the Food Network in 2001. The Rachael Ray Show, which is often referred to as just Rachael, launched in 2006 and airs in both the United States and Canada. It is taped in New York City, and as of this writing, has lasted 12 seasons and aired more than 2,000 episodes. It’s among the first of its kind to combine the talk show format with a traditional cooking show, and that has inspired other foodie shows to use similar formats. Rachael vs. Guy is a Food Network show that first aired in 2012. The series pit celebrity chef Guy Fieri versus Rachael as team captains, and the teams were filled out with other celebrities. The premiere attracted more than 3.5 million people and lasted for 18 episodes over three seasons. Rachael Ray has penned more than two dozen cookbooks. She is a New York Times bestselling author, and there is little doubt that these books have contributed significantly to her net worth. Her earliest book was amazingly successful for how relatively new she was, and there was great synergy between her cookbooks and her television appearances driving her success. “30 Minute Meals” is the first book Ray published. She developed it while teaching her class and creating recipes for her show. It features more than 120 recipes that can be prepped, cooked and served in less than 30 minutes. This book was a very important step in her career and catapulted her to even greater success. “Cooking Rocks!” is a cookbook aimed at children. Its goal is to interest them in cooking but also in eating healthier meals. The recipes are organized by age, and all of the recipes tend to have a youthful spin on them, such as worms and eyeballs and green pasta with ham. “Rachael Ray 365” is another take on the 30-minute meal concept that had made Ray so popular and successful. This time around, the author was a bit more ambitious. The book includes 365 unique recipes that allow readers to follow along for an entire year and never eat the same dish twice. In addition, she did not repeat any of the recipes that had appeared in the original 1999 cookbook. “Express Lane Meals” is the first of two books Ray published in 2006. It continues with her focus on delicious meals that don’t take much time to prep and cook. This one does differ a bit in that it makes recommendations on what to stock in your refrigerator and pantry so that you’re ready for a 30-minute meal at a moment’s notice. With “The All-Occasion Cookbook”, Ray did something a little different. She compiled her 150 favorite 30-minute meals into this collection, and it proved to be an excellent entry point for those new to Rachael Ray. In 2008, Ray returned to her 30-minute meal concept with the Big Orange Book, and she again took a different approach. She compiled almost every 30-minute meal that she had published in here 10-year career and still considered a success. This was also much more organized than her cookbooks had been previously and featured categories for meals for one, vegetarian dishes, burgers, holidays and even game night. With “Look + Cook,” Ray targeted readers who found it difficult to follow recipes and had trouble with cooking in general. The text is kept streamlined, and each of the 100 simple main courses presented has numerous pictures so that just about anyone can follow along and create a winning meal. “The Book of Burger” is among the most successful cookbooks Ray has written. It received a great deal of attention in the media, including areas of the media that didn’t traditionally cover her. The book seemed to reach beyond her traditional readership to all types of people who love burgers. It features more than 300 recipes not just for burgers but for sliders, sloppies, hot dogs, sauces and much more. Named after the Food Network’s Week in a Day television show, her Week in a Day book tackled a challenge that many working people face: prepping meals in advance. The book provides many recipes and shows you how to cook dinner for Monday through Friday on Sunday. It features 43 weeks of dishes, and this approach coupled with the broad selection made for a very successful book. Published in 2014, Ray’s Top 30 30-Minute Meals quickly became a bestseller. Ray chose her 30 favorite quick recipes from all that she had published and received feedback on. The recipes are all simple concepts that require ingredients that you’re likely to already have in the home. The last Ray cookbook, Everyone Is Italian Sunday, is her most recent at the time of this writing. Ray describes this book as the most important work of her life. Many critics agree, and it was also reflected in how well the book sold. This book is more than just an ode to her love of Italian-American cuisine but also a reflection on her family and the upbringing that made her the person she is. She also publishes her own lifestyle magazine, called “Rachael Ray Every Day,” which is published 10 times a year. While this is certainly a magazine for foodies, to call it a cooking magazine is to undersell it. Rachael Ray Every Day includes advice for entertaining, stocking your home with food and cooking while traveling. Conservative estimates put its subscription base at 1.7 million, which means that is likely a significant component of her net worth as well. She has also made a significant amount of money through the products she endorses, which undoubtedly has mushroomed the Rachael Ray net worth tally. Her first high-profile endorsement came in 2006 when she became the spokesperson for Nabisco Crackers. Not only does she appear in commercials for the brand, but her image and recipes are often featured on the boxes as well. In 2007, she partnered with WestPoint Home to introduce a bed and bath product line. This line introduced us to the “Moppine,” which is a dish towel plus oven mitt. That same year, she signed endorsement contracts with Dunkin’ Donuts for its coffee and AT&T for its cellular phones. In 2016, she partnered with the PulteGroup to introduce the Rachael Ray Home Collection, which she actually designs. Rachael Ray married John M. Cusimano in 2005. Prior to marrying Ray, Cusimano was probably best known as the lead singer of the Cringe, an indie rock band based in NYC. He is also a successful lawyer and producer with production credits that include Entertainment Tonight and Cake Boss. Rachael Ray House: Ray owns two homes in New York. The home where she gets away from it all is located in Lake Luzerne, which is a beautiful upstate area that provides a scenic view of the mountains. Her home for working is located in Greenwich Village in Manhattan, which is rather cozy compared to her upstate home. She shares both residences with her husband and their beloved dog Isaboo. As a top celebrity chef, Rachael Ray has managed to build a fortune estimated at around $88,000,000. To build your own fortune, you don’t have to be a successful TV host and author. These days, companies like Ellevest can help you step by step to squirrel away the nuts you need to live a more comfortable retirement. Unlike old school financial advisors that charge you hefty fees, Ellevest charges rock bottom fees in line with other robo-advisors and build portfolios that are aimed at matching client needs, risk and preferences. ‹ What Are The Rules For Roth IRA Withdrawals?